At the present, nutritionist form very critical part of fitness centers, nursing homes, school’s daycare centers and hospitals. So as to understand that which may work for one person, the nutritionists offer advice on food plans and check the desired outcomes. They promote healthy habits of heating combined with modification of the diet plans. The main purpose of preparing these food plans and charts is fulfilling the human body needs. These needs may be some sort of nutritional deficiency or disease. 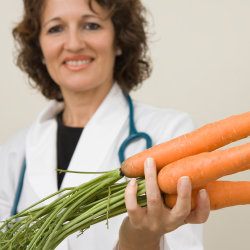 The suggestions and advice of nutritionist is needed throughout the entire course of treatment. The nutritionist will prepare the nutrition programs and physically serve or supervise the serving of meals. I found following interesting infographic on healthschoolguide.net about nutrition career.